﻿ Hotel Carlos V, Granada | FROM $36 - SAVE ON AGODA! 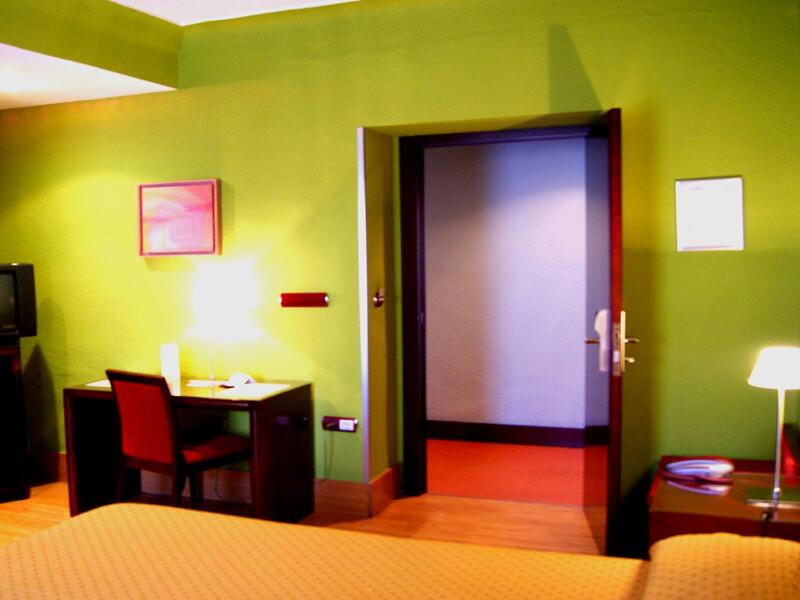 "We were very pleased with the staff, the building, the locat..."
Have a question for Hotel Carlos V? "Supermarket close by as well as a couple of decent bars." "We had a great stay!" "The place is very nice,comfortable and clean." 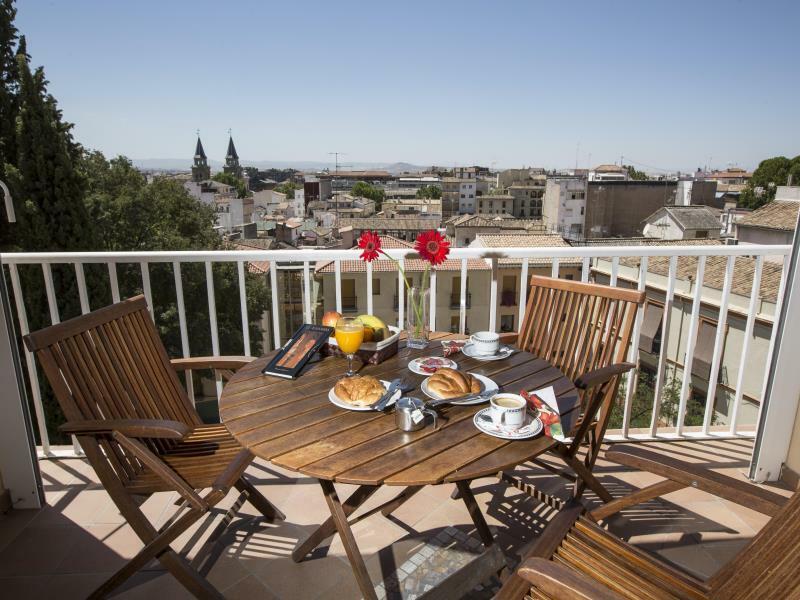 Hotel Carlos V boasts a fine terrace overlooking a quiet square, and providing a magnificent view of Granada city, and the Sierra Nevada Mountains. 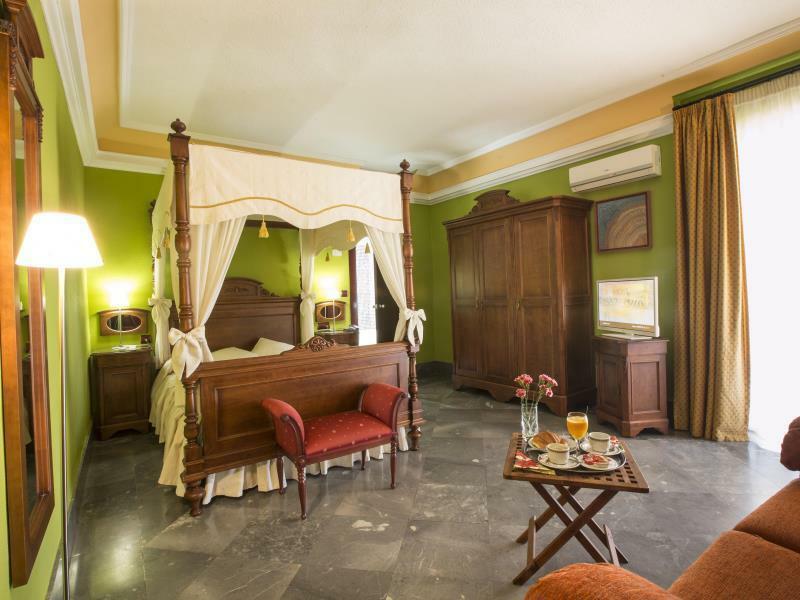 Close to the famous Cathedral, the Capilla Real, the commercial center, and all the restaurants and cafes of downtown, the hotel offers guests a fine location from which to explore this intriguing city and its rich Andalusian culture. Hotel Carlos V even provides a parking lot so visitors can forget the hassle of city parking and enjoy the short walk to the downtown sights. The hotel offers 23 guestrooms comprised of 19 double and 4 single rooms, all with fully equipped en-suite bathrooms and modern amenities. With a view and a location that cannot be beat, Hotel Carlos V should be at the top of everyone’s list. "Great location for walking around town." It is located in 4th story of building, it is hostel and not hotel. room is simple room with shower. floor was cold. I left the hotel in same day I check in, they still charge me for unused breakfast. We were very pleased with the staff, the building, the location and the view from the restaurant on the top floor! We had a great stay! Budget accommodation with a lovely balcony from which to have an evening drink while watching the sun go down. Supermarket close by as well as a couple of decent bars. Close enough to the town to walk. Staff were great and very helpful. Great location for walking around town. Staff was very friendly. There is a supermarket in the same building band so many small shops nearby. Stay here and save money for shopping or sightseeing. The place is very nice,comfortable and clean. The reception staff are very friendly and always willing to help out. In fact if I were to rate all the 15 nights I spent in Spain I would say this were the best reception staff that I ever had. I enjoyed my stay as it was a very convenient location plus service was friendly and warm. I like it that there is a supermarket just below the hotel where you can get water (the hotel doesn't provide drinking water in the room), and other goods at very good prices. 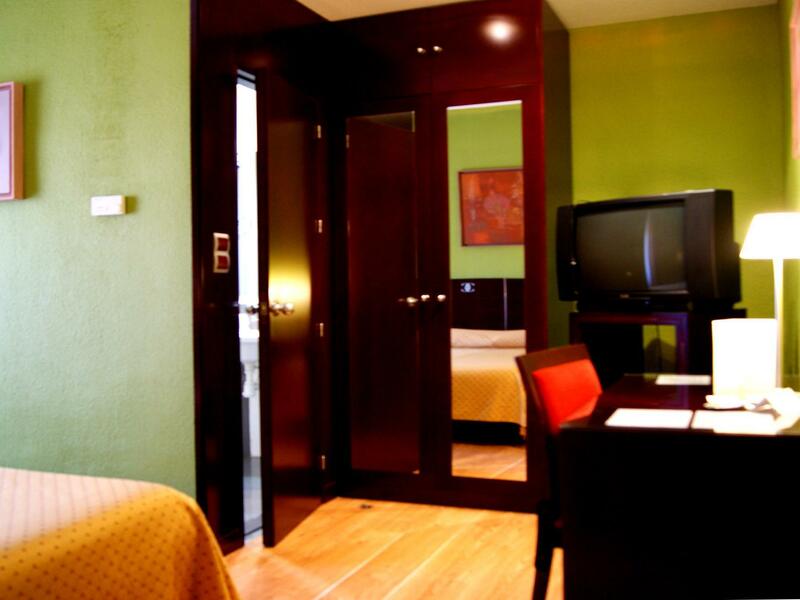 The hotel is also walking distance to many attractions around Granada. There are plenty of restaurants and cafes just around the corner that locals frequent, making it a cozy neighbourhood. The hotel is upstairs of a building and the ground floor can be a bit spooky and dark. The front door has a bell to the reception to unlock electronically if you don't have the hotel room key card. 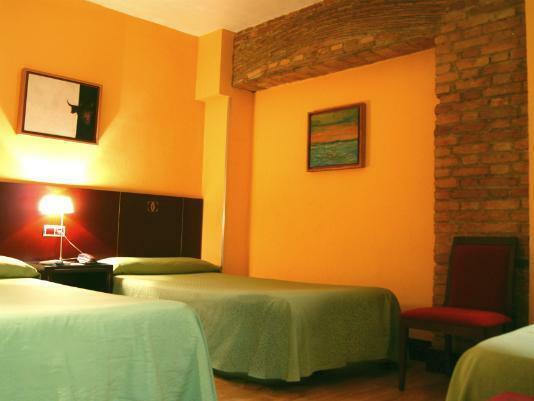 Otherwise, it's definitely a good place to stay on a budget in Granada. Generally speaking it was a good stay, I check in late and check out early, just spent a night at the hotel, but how could there no wifi in rooms???? Our stay here was great. The staff were excellent and even allowed us to extend our room stay until 6pm (20 euro charge) even though they were tight on rooms. Most major sights were in walking distance and if not they were easily accessible by nearby bus. Good. Very calm and quite. Good for business trip. I was there for a conference. Most of the time I was out of the room. When I came to room I felt comfortable. Room is samll but clean. A great hotel in great location. Clean and comfortable rooms. I would stay there again. overall , the hotel is very nice, near to alhambra, near to shopping area, good restaurant, the only cons, if u travel by driving a car, its a bit tricky to reach there, gps cant help u.for the food,there is 1 restaurant walking distance named chikato..its really nice.u shoul try it. The hotel was rather difficult to get to by car and hotel parking was 15euros per day. Staff were nice and friendly and spoke english well. Room was nice and modern, clean and amazing shower! Breakfast croissant was very stale. Public balcony with vending machine, tables...nice. El hotel me sorprendio mucho, la cama es muy comoda, la almohada pese a ser de las bajitas y mulliditas comoda tambien, el baño espacioso, todo el servicio del hotel muy amable y simpatico. El hotel esta muy bien situado a solo dos calles de la tipica calle de tapas "calle navas" y a solo un paseo de la alhambra, pese a estar casi en el centro es bastante silencioso para descansar. La única pega que le podria poner, es que se oye bastante las habitaciones de al lado. Por lo demas volveria seguurisimo si tubiese que regresar a granada.